Malakoff announced that Tlemcen Desalination Investment Company SAS (TDIC) has been served with a legal claim amounting to EUR80m (c.RM370m) by its JV partner, Algerian Energy Company SPA (AEC). This is in relation to JV in Almiyah Attilemcania SPA (AAS)’s sea water desalination plant in Algeria. 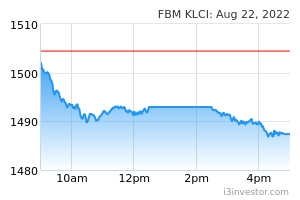 TDIC is currently 70% owned by Malakoff AlDjzair Desal Sdn Bhd (MADSB), a wholly-owned subsidiary of Malakoff. 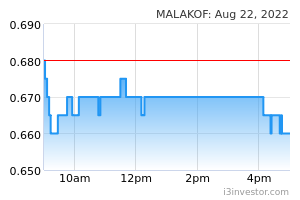 Should Malakoff fails to defend itself against this claim, we see potential downside risk to headline profit. We are keeping our forecasts at this juncture pending further details from Malakoff. Background of AAS and TDIC. AAS is a joint venture company between TDIC and AEC, holding 51% and 49% respectively, incorporated for the design, installation and operation of sea water desalination plant in Algeria. Meanwhile, the shareholders of TDIC are MADSB and Menaspring Utility (S) Pte Ltd (MUPL), holding 70% and 30% of the shares respectively. MUPL is wholly owned by Hyflux Ltd. Effectively, Malakoff owns 35.7% stake in AAS. Details of claim. The alleged claims made by AEC against TDIC, Hyflux and Malakoff are breaches and negligence in the design, operation and maintenance of the Plant, and wrongly objected to the termination of the Water Purchase Agreement (WPA), transfer of shares to AEC and carrying out of technical audit. In this regard, the reliefs sought by AEC includes; (1) TDIC have breached their contractual obligations under the contracts between the parties, (2) an order to terminate the WPA was validly terminated for events of default, (3) an order to transfer TDIC shares in AAS, (4) an order to indemnify AEC for damages incurred as a result of their breaches, estimated on an interim basis of EUR80m (c.RM370m), (5) an order to pay all the costs for the plant rehabilitation, and (6) an order to guarantee the payment or reimburse the fine of 3.9bn Algerian Dinar (c.RM135m) imposed on AAS by the Algerian Court. Earnings estimate maintain at this juncture. The carrying amount of investment in AAS had been fully provided for in year 2016. Nevertheless, we would like to highlight that there is earnings risk from this material litigation, should Malakoff fails to defend itself. However, at this juncture, we are not able to determine the financial impact as the claims are still being reviewed by Malakoff’s lawyers. Although there is potential downside risk to headline net profit, our core net profit remains unchanged.